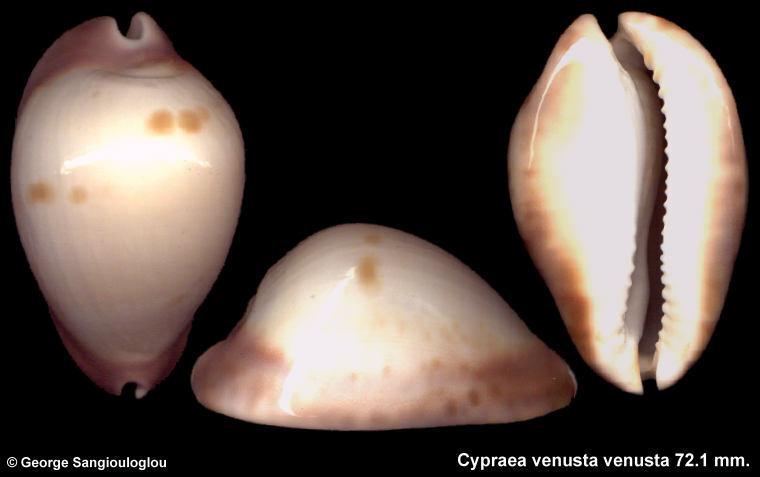 Cypraea venusta venusta 72.1 mm. dorsum all over cream with four soft brown spots. This is a very uncommon color form from this area.